HUNTERâS PARADISE! 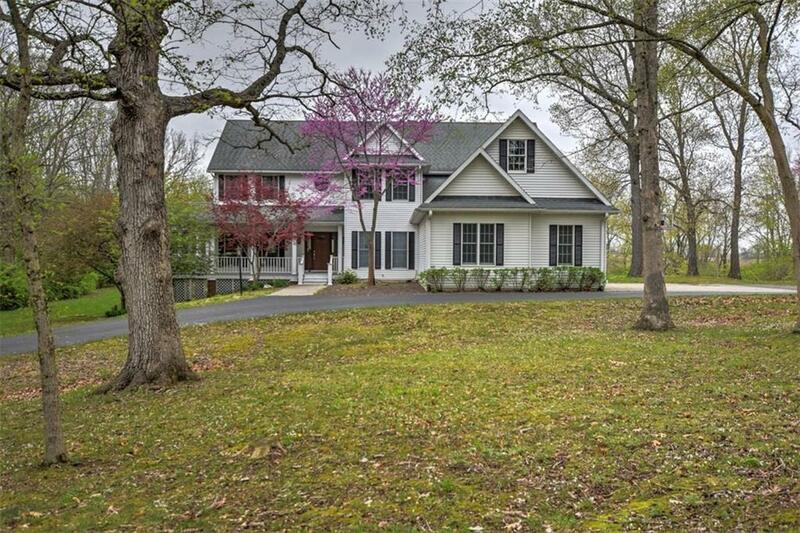 Beautiful home sitting at the end of a road on 9 wooded acres along the Sangamon River! The outside features a covered porch that wraps around to the side, a screened porch off the kitchen, and a back deck overlooking the river and a fenced in area. So many places to enjoy the beautiful nature. Large master suite on the main floor with a gas fireplace next to a sitting area, a large master bathroom with shower and soak tub as well as a walk in closet. Kitchen has granite tops, island gas range, hardwood floors, and an eating area with glass all around for views of the woods and river. Main floor also has a half bath, den, dining room, laundry, and two-story family room with an additional fireplace. Three bedrooms and two bathrooms upstairs. Awesome finished basement with plenty of entertainment spaces including a game room with bar, movie room, full bathroom, and some bonus finished and unfinished spaces. Dual zone HVAC, new water heater, new carpet in the family room (coming soon), and fresh paint. You have to see this home in person to appreciate the beauty inside and out!